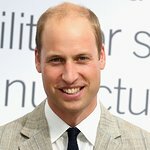 The Duke of Cambridge joked about spending his first night away from baby son Prince George as he attended a glittering black-tie awards ceremony championing wildlife conservationists last week. The Duke and Duchess of Cambridge were guests of honour at the inaugural Tusk Trust awards, held at the Royal Society in central London, which recognised the work of tireless campaigners in the field of conservation. But The Duke joked that he might be seen checking his mobile phone to make sure all was well back home with his son. 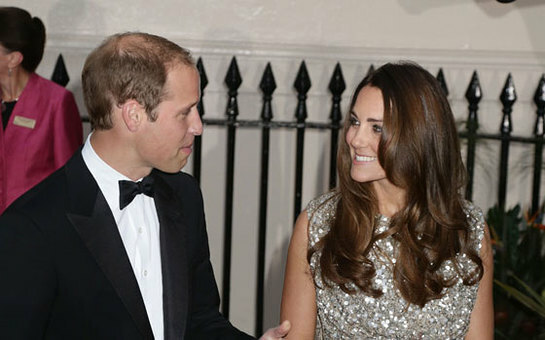 Their Royal Highnesses’ evening out came after The Duke announced that he will be expanding his work in the field of conservation and will be President of United for Wildlife. The collaboration between The Royal Foundation of The Duke and Duchess of Cambridge and Prince Harry with seven of the world’s leading conservation organisations includes WWF UK, Conservation International, Fauna & Flora International, The International Union for Conservation of Nature, The Nature Conservancy, the Wildlife Conservation Society and The Zoological Society of London. The Duke is Royal Patron of the UK-based African wildlife conservation charity Tusk Trust, which staged last week’s awards ceremony. In a speech to guests, The Duke started by saying: "As you might have gathered, Catherine and I have recently become proud parents – of a baby who has a voice to match any lion’s roar. “This is actually our first evening out without him, so please excuse us if you see us nervously casting cheeky glances at our mobile phones to check all is well back home. He added: "The possibility of extinction is bad enough for one of our children growing up here in the West, who will never experience the magic of seeing a rhino on a new television documentary; or even for my own little George, who Catherine and I very much hope to introduce to east Africa – a place we know and love – in the fullness of time. “The announcement today demonstrates his commitment to conservation.” BBC presenter Kate Silverton hosted the evening and The Duke presented the awards. The Tusk Conservation Award for Conservation in Africa, which recognises an emerging individual, went to Tom Lalampaa, a conservationist working in the Northern Rangelands Trust in Kenya. Alasdair Harris, who helped to create the Blue Ventures Conservation area which protects part of the coastline of Madagascar, was highly commended in this category. The Prince William Award for Conservation in Africa, a lifetime achievement honour, was given to Clive Stockil for his work in Zimbabwe over 40 years. He has helped to create the biggest private reserve in his country, which is now home to one of the biggest rhino populations in Africa.